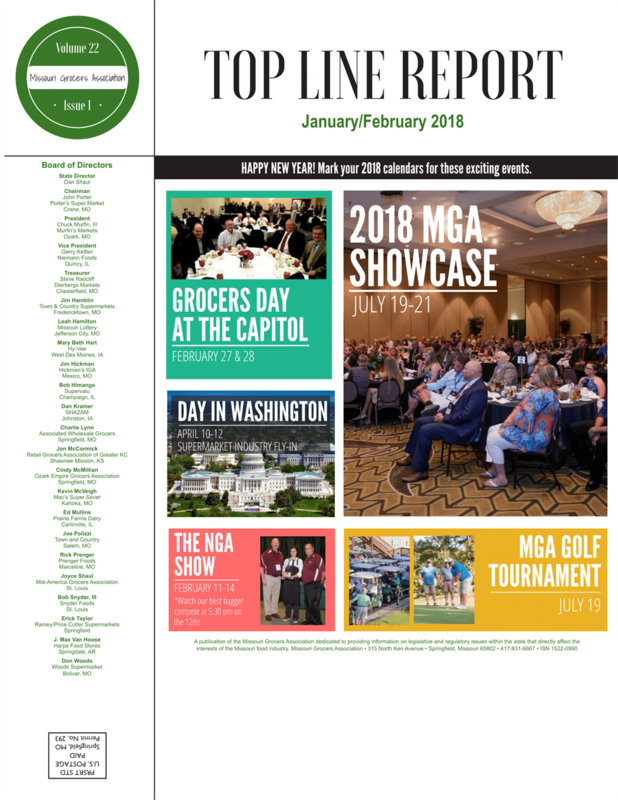 The Missouri Grocers Association has two print publications that are mailed out as a part of the membership benefits: the Top Line Report newsletter and the Missouri Grocer magazine. 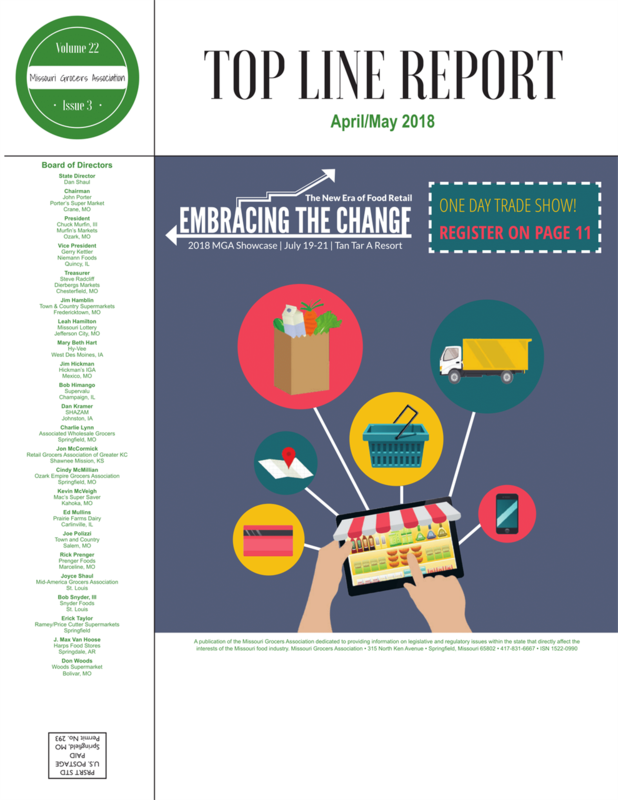 If you are interested in providing content for the publications or advertising with us, please contact Cory Campbell at (417) 831-6667 or ccampbell@missourigrocers.com. The Missouri Grocer magazine is published once a year and is referred to as the “pre-convention issue”. In the magazine we highlight the exhibitors, sponsors, awardees and events that will be taking place during the annual MGA Showcase. This will typically come out in the summer months and will include registration forms with it. 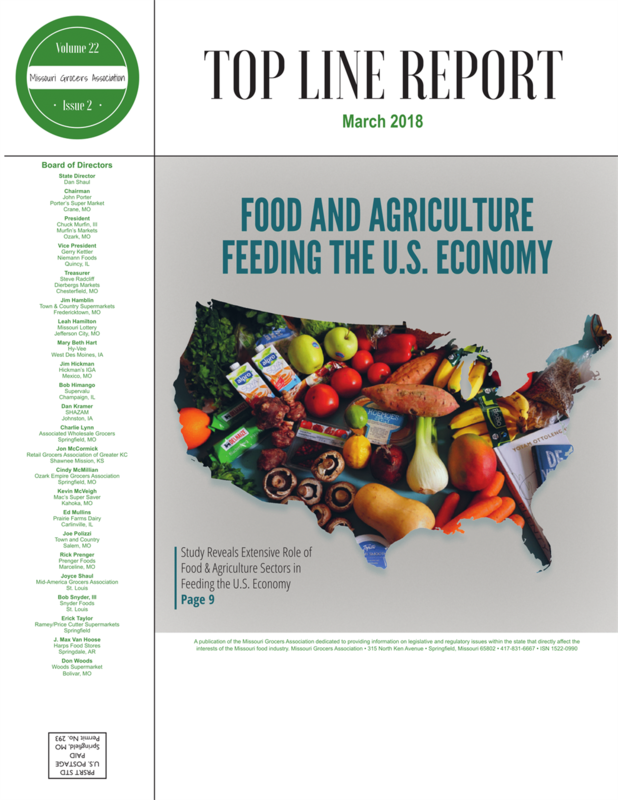 The Top Line Report consists of six issues a year to keep members updated on the calendar of events, industry news, and important legislation. The report contains various industry related articles, as well as legislative updates from the capitol. Become a member to get these publications mailed right to your doorstep.